I know, I know. 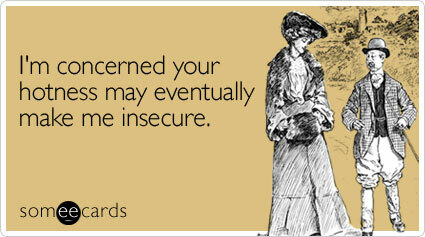 E-Cards are a huge pain. No one likes clicking through to the link. The animations are terrible, not to mention the music. But these are making me laugh out loud, and I just had to share. WARNING! Most of the cards on this site are explicit and/or in poor taste...you've been warned. comes with its fair share of challenges. 1. I posted, on facebook, a photo of my sister after having completed the marathon. 4. I was confused. I had to go to YouTube to read the comments, because this video made no sense to me. 6. Started watching the Old Spice commericals. They are hilarious. Am I the last person to realize he was making videos PERSONALLY responding to Tweets? I watched his response to Ellen DeGeneres and laughed out loud. 8. Hopped over to AM's Twitter feed to see if this was recent or if there were any other interesting tidbits. She linked to a video of Johnny Depp reading Hunter S. Thomspon letters. That was on Open Culture. Graciela al autor, quien seguramente es un groso! Thank you for sharing, dad!